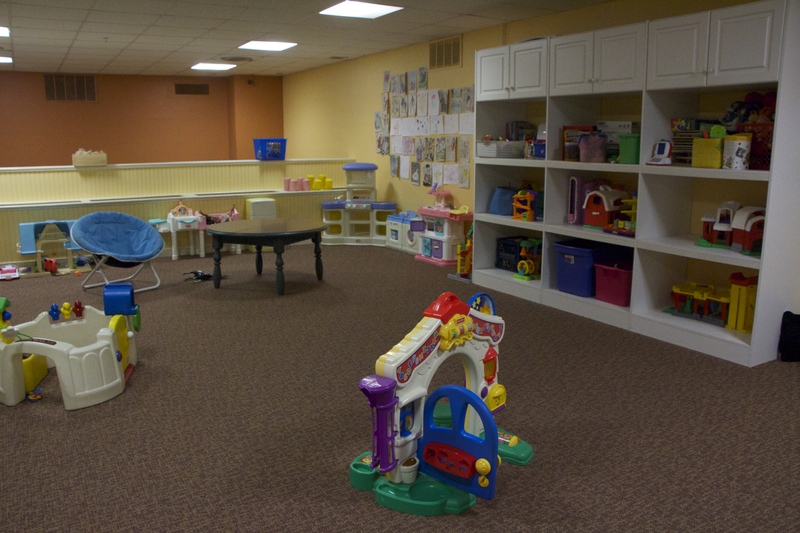 We offer to keep your child safe and entertained, while you workout in our facility. 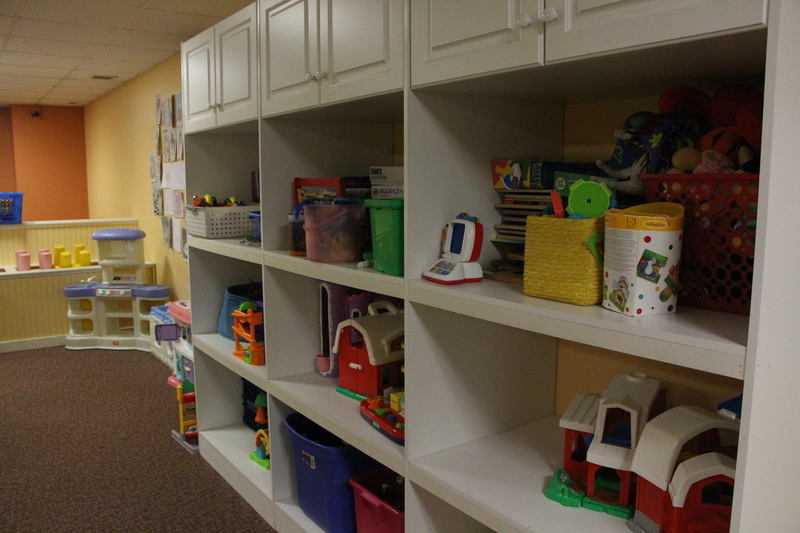 Our nursery is open Monday-Saturday and we have plenty of toys, books, and games, plus a chalkboard and television. 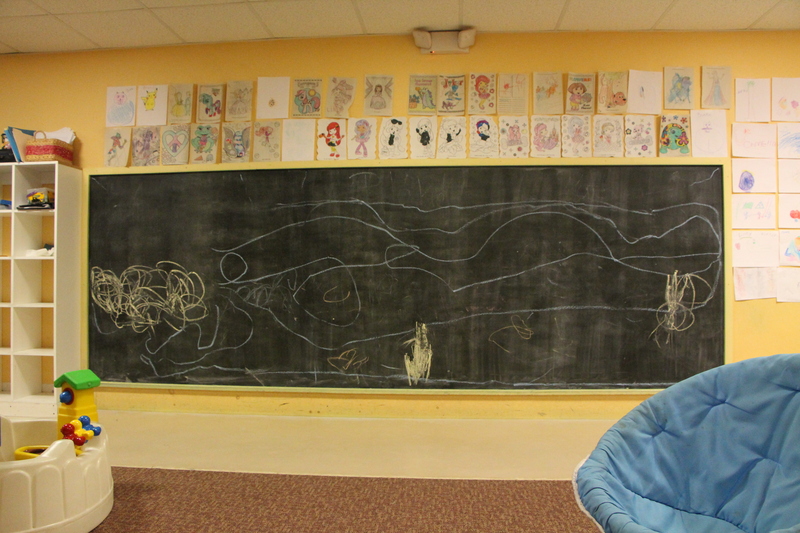 We encourage the children to interact and our staff will provide a fun, learning experience. Monday: 8:00 a.m. – 12:00 p.m. ; 4:00 p.m. – 8:30 p.m.
Tuesday: 8:00 a.m. – 12:00 p.m. ; 4:15 p.m. – 8:30 p.m.
Wednesday: 8:00 a.m. – 12:00 p.m. ; 4:15 p.m. – 8:30 p.m.
Thursday: 8:00 a.m. – 12:00 p.m. ; 4:15 p.m. – 8:30 p.m.
Friday: 8:00 a.m. – 12:00 p.m. ; 5:00 p.m. – 7:00 p.m. Listed below are a few policies to make everyone’s visit a pleasant experience! Please sign-in with the babysitter(s) upon arrival and let them know where you can be located at the club. Or add it to your membership for $14.99 (first child) and $9.99 (each additional child) per month! 1. PLEASE DO NOT leave a sick or irritable child in the nursery. If your child is sick, please leave them home safe and warm. 2. Do not leave a child with skin rashes (poison ivy, chicken pox, etc. in the nursery). 3. NO snacks or drinks, other than water or bottles for a small child. 4. NHHR staff are not required to change diapers. Please be sure your child is fed and changed before leaving the nursery. If your child needs to be changed, we may page you from your workout. 5. Babysitting services are rendered only while parents are working out or involved in a recreational sport.